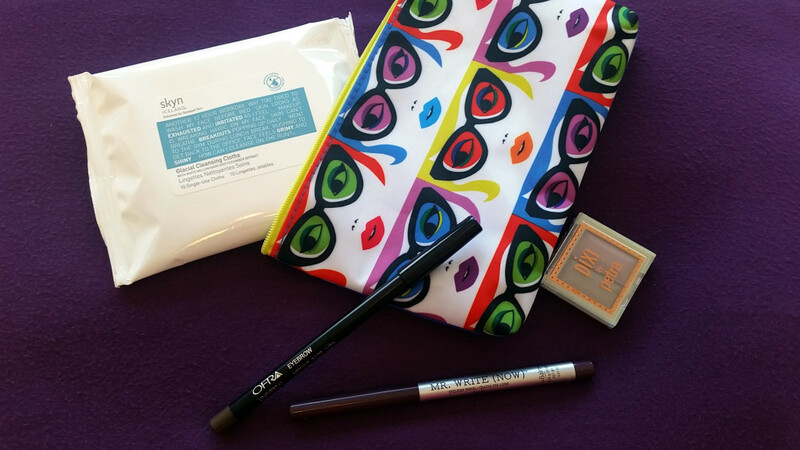 I haven’t done an Ipsy Glam Bag reveal in a while! I promise I will catch up and show the ones from November and December, because they had some really great products in them. To start with though, I’m going to pick right up with January’s bag! This company’s tag line is Solutions for Stressed Skin, which could not be any more fitting for me. It is horrible for your skin to go to bed with makeup on so I keep makeup wipes by my bed for those nights that I practically pass out. They’re also great to keep in your gym bag! These wipes have a great clean scent and don’t dry out my skin. They are foaming but don’t require any water! They’re made with white willow bark and cucumber extract. I received a sample pack of 10, but the normal retail size is 30 cloths and costs $15.00 on SkynIceland.com. This mini eye shadow palette is in Lavender Bloom. The two shades are a light brown and a light pink color. I don’t usually wear any pink hues but I love the way these shades look together! They have a slight shimmer but nothing too dramatic. 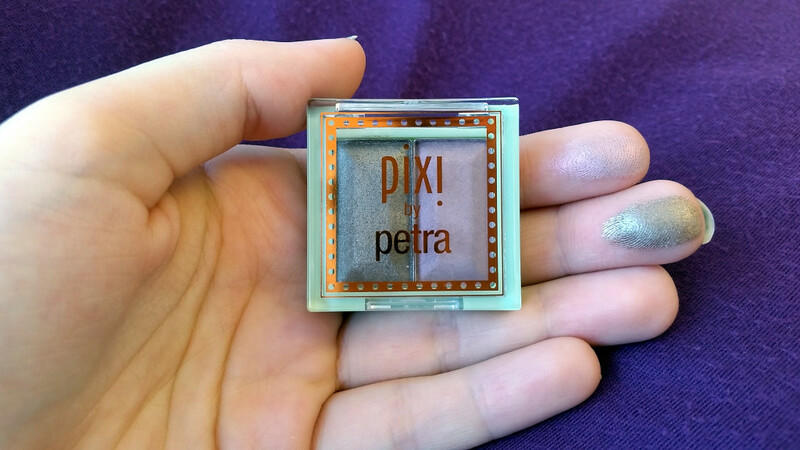 The shadows are silky and have pretty decent staying power. The full size palette of six shades is $12.00 on PixiBeauty.com. 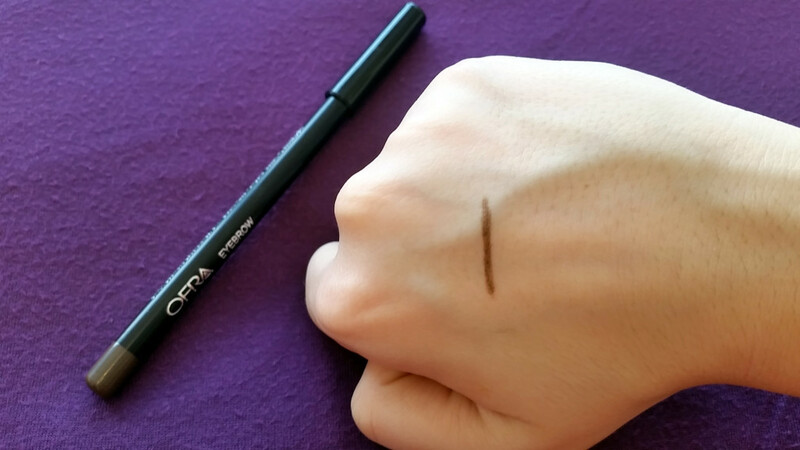 I received this pencil in the Universal Eyebrow shade, which is a dark brown color. The pencil is creamy and applies smoothly and easily. The website says they’re made with a “synthetic beeswax base for a smooth, soft and long lasting application”. The color just glides on allowing your pencil stokes to fill in brows naturally. These pencils are versatile and can be used for eyes, eyebrows, and lips. You definitely get your money’s worth out of them. Buy it at OfraCosmetics.com for $13.00. 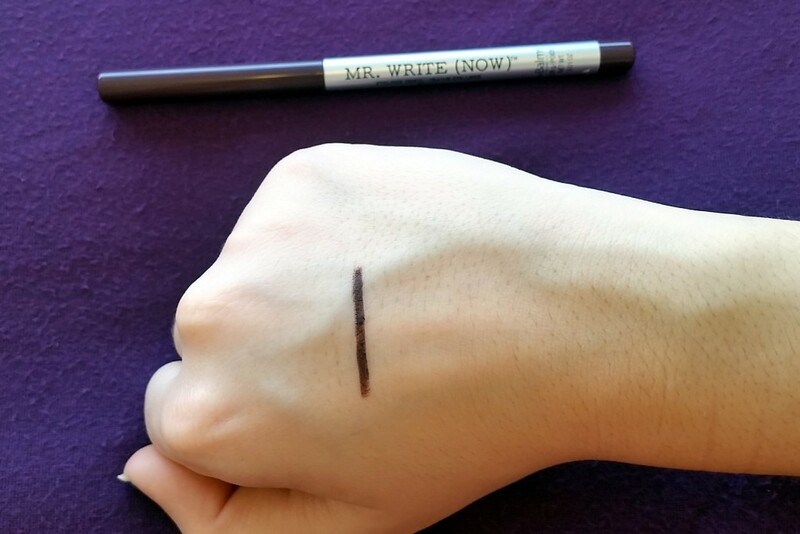 I received this eyeliner pencil in the Scott B. Bordeaux shade. It’s a super deep purple hue and not a color I’m use to wearing, however I like the way it looks with my brown eyes. The pencil has a smooth crayon like texture making it easier to apply. There is a built in sharpener in the bottom of the pencil. The website has eight shades available. You can go more daring with their brighter colors, or keep is natural with their brown and black hues. Buy them at TheBalm.com for $17.00.